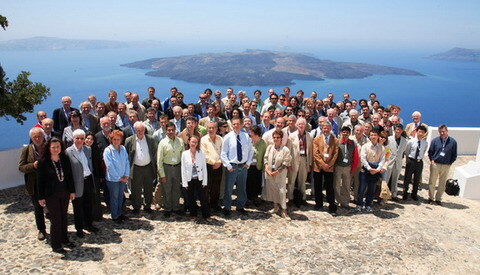 The 14th Joint Workshop on Electron Cyclotron Emission and Electron Cyclotron Resonance Heating was organized by the Research Unit of Association Euratom-Hellenic Republic, during 9-12 May 2006, at the "P.M. Nomikos Conference Centre", on the Aegean-see island of Santorini in Greece. It was attended by 101 participants (for the first time in the "three digits"), from 17 countries and international organizations, with 92 scientific contributions. • Technologic advances on millimeter wave sources and wave-guides.